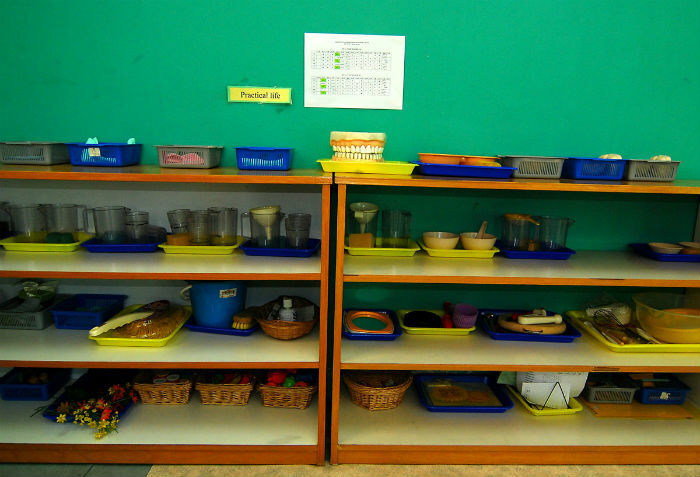 In a very small nutshell, the Montessori method of education is one in which specific educational materials (or “works”) are thoughtfully prepared and stored neatly around the multi-age classroom. The teacher, trained in carefully observing the children, presents these works when the time is right, while the child or children observe. Once it has been demonstrated, the children are free to use these works one person at a time (or in a small group depending on the work). They are to use the work properly, as demonstrated, to the best of their ability, returning it neatly before choosing another. Through these various materials they learn sensory motor skills, practical life skills, math, language arts, science, handwriting, geography, and much more! The children work best in large blocks of time, freely able to go from one work to the next of their choosing (within the limits set by the teacher). 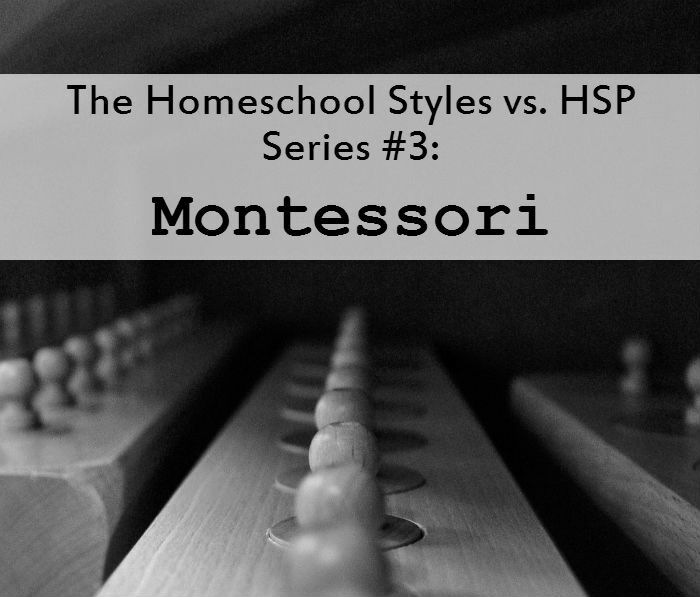 I think Montessori can be a wonderful, calming and empowering style of homeschooling for highly sensitive children and parents alike, given some (many?) caveats which I will enumerate in the CONS section. A good teacher (mom/dad) is a strong yet gentle presence for the highly sensitive child, one who through keen observation learns so much about her students (children). Children learn respect for their environment which bodes well for your house even outside of any classroom space you might be using. The hands-on, experiential learning works well for many highly sensitive children. Children are observed for readiness, not pushed into something before their time, nor made to languish in boredom if they have mastered a work and no longer find anything beneficial from doing it. This improves behavior and self image. Highly sensitive parents, when in the right frame of mind, can *shine* as observers of their children, because they notice subtleties that others might miss. I feel there is a HUGE learning curve for parents and students alike if you are not starting with your oldest child as a preschooler. Coming from a different style of homeschooling and/or parenting can cause a lot of stress when little junior won’t use the materials like you are saying, because he is used to doing what he wants with his toys and games. I found the above especially true of a sensitive, creative child of mine. She’s even the one who went to a real Montessori preschool – even the experienced teacher couldn’t get her to use the materials as intended. Fuggedaboutit at home… she was not destructive, but also was not learning what the work was supposed to be teaching because she was being creative with it. Then my other children followed suit (This child has a stronger personality than mine, even if we are both sitting quietly in a room). This caused me so much stress. While being a keen observer of my children was a strength of mine when I used it, it was draining, and often led to me overthinking everything, particularly due to the other issues I’m bringing up here in the CONS. Using bought materials can be expensive (another stress – spending money, even when we have it, is an “issue” for me due to childhood and current baggage). I tried home made, and there was just something essential missing. I can’t put my finger on it, but it just didn’t have the same “life” to me when I took something obviously homemade out of a baggie or tacklebox vs. made of wood or thick cardstock out of a neat shelf or store bought box. My kids didn’t like it either. And it was disappointing, in a way, when I would spend hours I didn’t really have, on creating a material only to have it mastered in 10 minutes and never picked up again. This brings me to my next issue with Montessori at home (my home, at least). Space. We are 7 people in 1000 square feet (plus finished basement). We have no dedicated schoolroom for materials to stay out, and at the time we were trying this method, no real place for extra shelves even in our normal non-homeschooling rooms. So things had to be small and packed away. We used a tackle box for many items, and while I loved it for it’s ingenuity as a take-along homeschooling box, it *really* didn’t shine for me as a Prepared Montessori Environment. 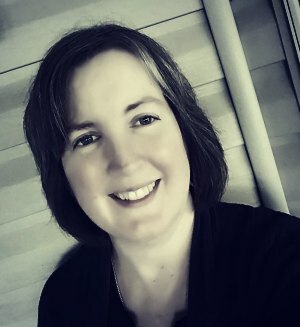 My kids and I needed the freedom to take whatever work we needed at the time, not only the 3 I could fit out on a shelf, or would often forget about what was put away because we are a very out-of-sight-out-of mind family. With a large age range, people were working on all sorts of different things, and so much needed to be accessible at the same time. Call me too sensitive, call me a perfectionist, but I just didn’t want to do Montessori half baked like we were forced to if we continued here in this house, with this family. It’s beautiful and wonderful in theory, but didn’t work for us in practice. So those are my thoughts. What is your experience with Montessori? Have you found it useful or beneficial in your own homeschooling? I student taught in a Montessori school when I was in college and I was enamored with the whole atmosphere. When my children were younger, I decided to teach this way at home. I couldn’t afford to buy everything so I attempted to make as much of it as I could. I spent most of my free time making materials and reading up on how I was to teach the Montessori way. At the end of it I still didn’t know what I was doing so I gave it up for another philosophy. Montessori sounds really good and calming but the effort that needs to go into it in order to teach this way just wasn’t worth it for me. That sounds like a great job, Julia. I think I would have loved working in a Montessori school. That makes me feel better to know that even after working in one it was hard to implement in the home!